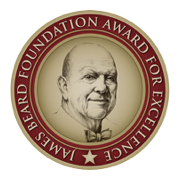 Now Hiring an Experienced Sous Chef! Joe's in Chicago is seeking a seasoned SOUS CHEF. We're looking for an experienced kitchen operator with a background in high-volume, systems-driven restaurants. Our ideal candidate will be a leader who listens well and grounds their communication in mutual respect with the team. Joe’s Seafood, Prime Steak & Stone Crab is one of the most sought-after dining destinations on the Strip. Our menu features a selection of prime steaks, quality seafood and the signature dishes of Joe’s Stone Crab in Miami. If you have strong organization and communication skills coupled with a respectful approach to leadership – we want to hear from you! Please apply. EOE. E-Verify. Experience in a premium steakhouse or seafood restaurant is a big plus. We offer: Competitive pay ... quarterly bonus program ... restaurant discounts ... Blue Cross/Blue Shield medical/dental insurance ...domestic partner benefits ... vision plan ... 401(k) ... employee assistance program (EAP) ... pre-tax transit benefit (where applicable) ... training, development & advancement opportunities ... paid time off including holiday,vacation, sick days, parental leave ... and more. The legendary Joe's Stone Crab first opened in Miami Beach in 1913. It all began when Joseph Weiss, the "Joe" of Joe's Stone Crab, and his wife Jennie set up seven or eight tables on the front porch of the house they owned. 100 years later, Joe's has become one of the most beloved and widely recognized restaurants in America and in the world, famous for its Florida Stone crab, signatures sides and Key lime pie. In 2000, a partnership was born between the Sawitz/Weiss family and renowned restaurateur Richard Melman, founder of Lettuce Entertain You Enterprises (LEYE). 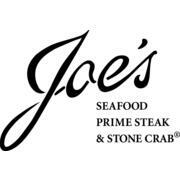 Together they opened Joe's Seafood, Prime Steak & Stone Crab in Chicago, a restaurant featuring a selection of prime steaks, quality seafood and the signature dishes of Joe's Stone Crab. The restaurant quickly built a reputation as one of the most popular restaurants in Chicago. In 2004, Joe’s premiered in Las Vegas at The Forum Shops at Caesars and soon became one of the most sought after dining destinations on the Strip. We are now excited to call our nation’s capital home. In January 2014 Joe's Seafood, Prime Steak and Stone Crab, 750 15th Street NW, Washington DC, opened in the heart of the District, just steps from the White House.